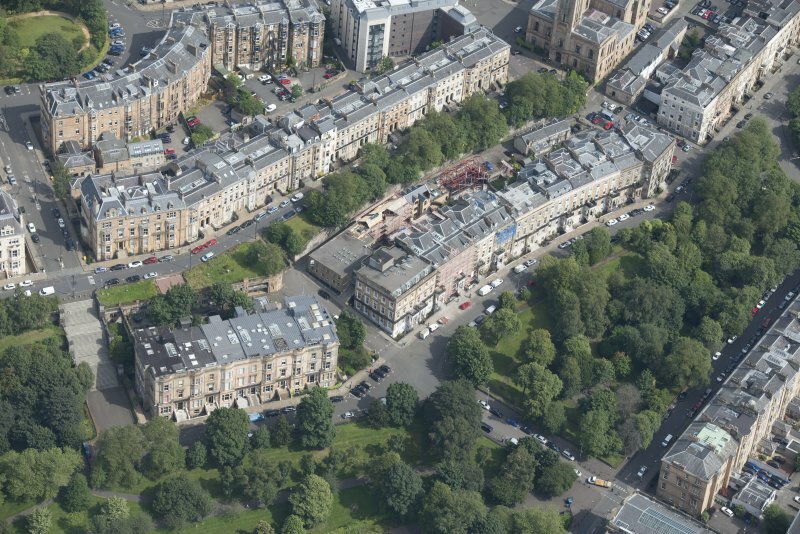 Oblique aerial view of Park Street East, Claremont Terrace, Woodlands Terrace, Park Gardens and Park Gardens Steps, looking NE. 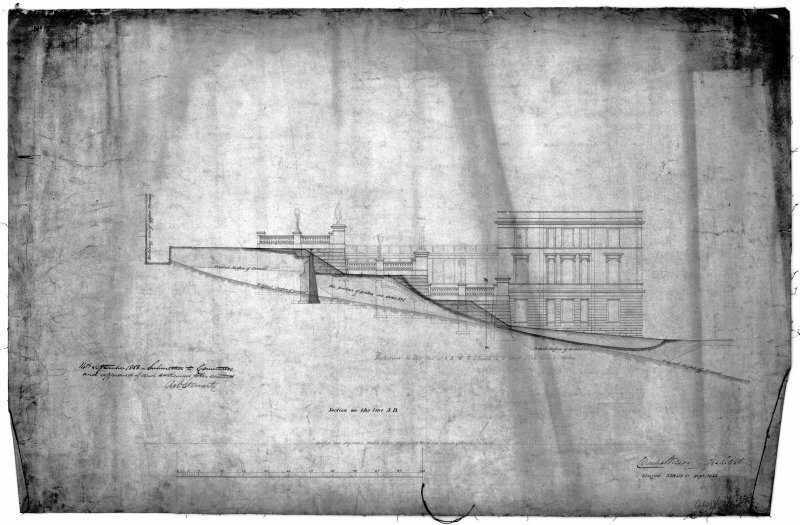 Glasgow, Park Gardens Photographic copy of plan for screen wall, section and elevation for stairs, with hand written notes by Rob Stewart, Lord Provost. 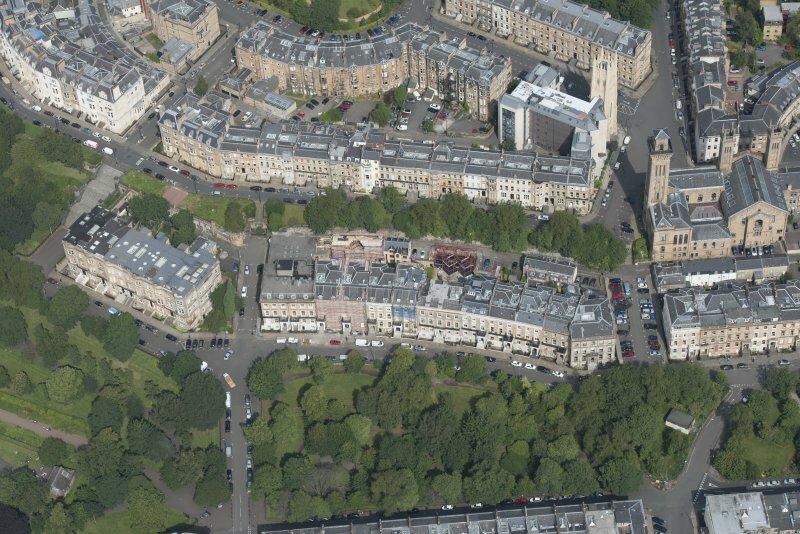 Insc:'Section on the Line A-B' 'Charles Wilson, Architect, Glasgow, 33 Bath Street, Sept 1853'. Pen, ink, wash.
Oblique aerial view of Park Street East, Claremont Terrace, stairway to Claremont Terrace Lane, Park Gardens and Park Gardens Steps, looking N.
Architect: Charles Wilson c. 1854.